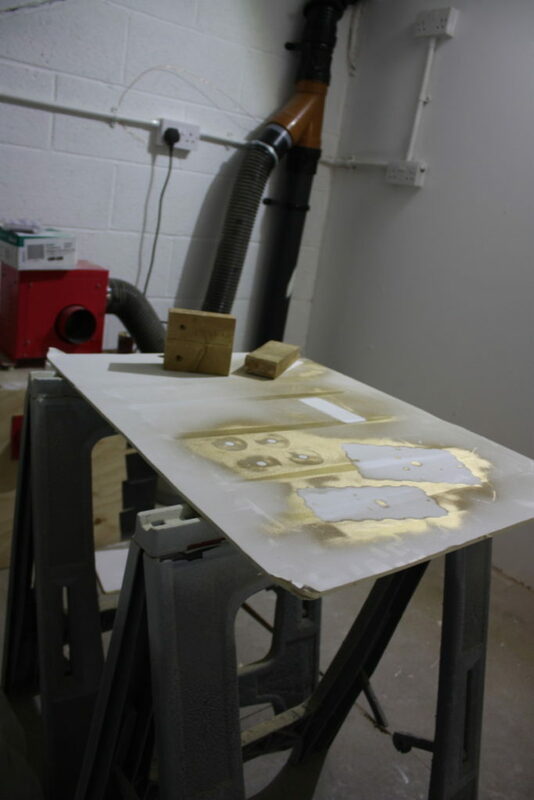 We have a small spray booth where you can splash paint around without worrying too much about making a mess. There is a extractor for removing nasty fumes. We have a small air brush and compressor for fine work.